Our planning began back in April 2017 with a letter to any pupils interested in visiting Spain and France to use their knowledge of languages in the real world. Pupils from across Years 8-10 came forward by the coach load; two coachloads in fact as we had over 100 pupils interested, and the number eventually settled around 80! Inspired and enthused, we shared our ideas with the pupils on what we could do in each country and how pupils could help each other to survive in both countries. 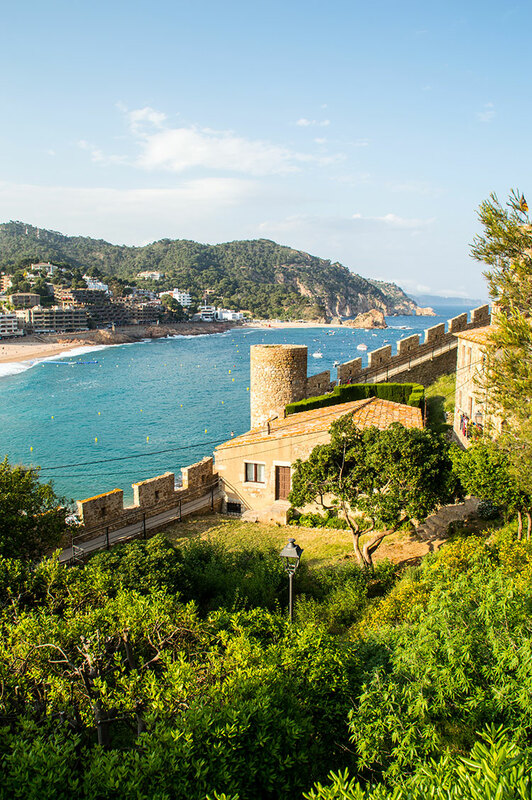 Soon after the 2017 summer holidays we changed plans and informed parents that we would not be staying in Barcelona itself but in the quiet seaside town of Tossa de Mar just north of the capital of the autonomous region of Catalonia. We were ready to spend a couple of nights in a 3-star hotel with some traditional Spanish catering, but the only snag being that we had to spend over 24 hours on a coach to get there and the same back again! We then had to find a new tour operator to get us there as the previous one said they could not do it for the originally quoted price. The pupils of Winifred Holtby were not only ready for the challenge, they were over the moon with the fact the journey would make them think about and embrace two cultures and they would not have the time to ask, “Are we there yet?” as we ventured across France and into the north of Spain. 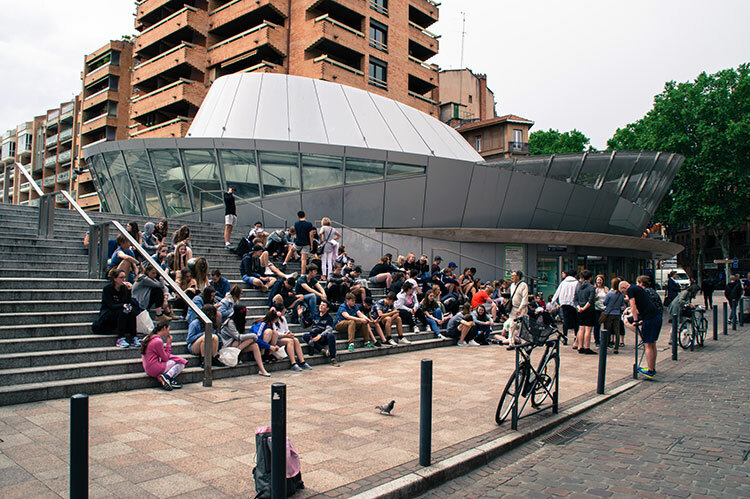 In early 2018, we launched the final part of the planning: getting parents together at a meeting to ask questions and to find out the detail of the trip; the ideal chance to ask how it would all work taking 80 pupils abroad and keeping them safe and allow them to experience as much of the cultures of France and Spain as possible. Teachers planned a series of worksheets and booklets which would continually push pupils to ensure they were able to reflect on the foreign environment and ensure that our pupils had additional outstanding learning experiences while in France and Spain and even to make them aware of where they were travelling through in England before we arrived on the continent at Dunkirk. What was that river we crossed as we skirted around London? Some of them were in denial (in the Nile! – just one of the poor dad jokes the pupils had to put up with from Mr Horsley) about the facts and were considering which country the river Thames was actually in; one suggestion was Egypt. At 5 a.m. on Sunday 27th May 2018 the wait was over, and a group of half-asleep but excited teachers, pupils and parents gathered at the Academy and were ready to travel over the full length of France to get to the north-east of Spain. Our main objective was to share our experience of life abroad with the pupils and the joy of being able to communicate in a foreign language in real-life situations. Throughout the time there we were warmly welcomed because our super pupils were eager to engage with the French and Spanish people we met and were truly immersed in their culture and society and represented our school in a much better light than most Brits abroad. One pupil on the trip had to celebrate her birthday by spending nearly the whole of it on a coach, so we did sing to her to mark the occasion of becoming a teenager and what better present than a dictionary and notebook to use on the trip! The trays of cakes and doughnuts carried expertly aboard the coach also helped the celebration. 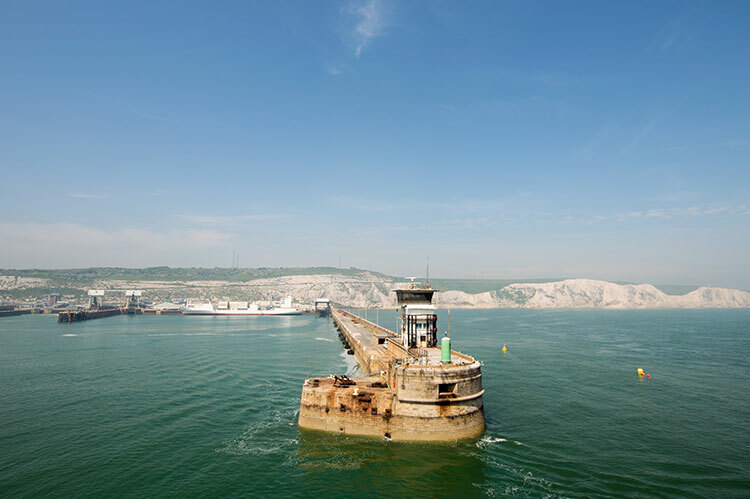 Travelling to Spain for most people means jumping on an aeroplane, but we chose the scenic route and squeezed onto two coaches that travelled in convoy down to Dover, where one of our pupils was hoping to meet the Captain of the DFDS ferry and get an invitation to steer the ship! Unfortunately, health and safety prevented this, but he was eager to ask again on the return crossing. The rest of us were content with waving farewell to the white cliffs as our European adventure commenced. Some pupils had already conveniently forgotten that we would be spending the evening, night, and early morning together on a coach with stops for meals and the all-important stretching of legs at the French services where getting confused about the drinks and snacks was to be expected, whether it was a milkshake or a yoghurt drink was only one mistake made! Another dilemma was whether the next stop would have a ‘MacDo’ or would pupils start to assimilate to the French culture and purchase a croissant or baguette or two? The answer was an increasingly comfortable mixture of the two as the trip progressed. After catching just a few hours of sleep, we were greeted by a beautiful sunrise over the south of France; a stark contrast to the lightning of the night before. We soon learnt that the baby trees the pupils had been admiring were actually the vines that grow the grapes that make France famous for its wines! We also learned that the mountains we were going to cross to get across the Spanish border without being stopped were not the Rockies at all, but the Pyrenees! As pupils gasped at the marvellous scenery they had long forgotten their initial concerns about which coach had the USB charging points for their devices. 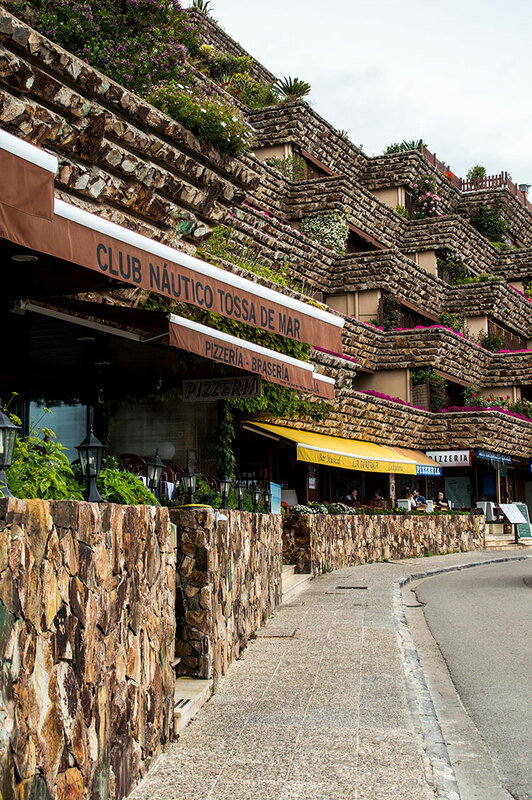 The beautiful descent into the seaside resort of Tossa de Mar was the final stage of our mammoth journey and meant that we would soon be able to check in at the hotel and find our allocated rooms to freshen up before walking to the seafront to find somewhere to eat in a welcome change of clothes. While two groups tasted the delights of ‘churros con chocolate’, the rest of us learned the terms for strike and turkey in Spanish and showed of our skills at ‘El Bar Bolera’. We all swapped activities and added another one into the mix with a walk up to the castle overlooking the bay and where a statue of Ava Gardner, the American actress who filmed there in the 1950s, greeted us as we paused before the final ascent to the ruins at the top and an ideal spot to get a panoramic postcard shot of the peaceful seaside resort of Tossa de Mar in all of its glory with the deep blue Mediterranean in the forefront and luscious green trees on the mountain backdrop – Tossa was the first town in Spain to declare itself an anti-bullfighting town back in 1989, the year Mr Styles first visited Spain as a scruffy student with a backpack and an Inter-rail card! Adjusting to Spanish eating times meant waiting until 8.30 p.m. to eat our evening meal and there were plenty of takers who were prepared to try the local cuisine, others resorted to the international delicacy of chips and nuggets while Mr Styles chomped on a large salad starter before tackling the ‘jefa’ of the hotel about what could be made vegan for him to eat; a few moments later a large platter arrived with rice, carrots, onions and chickpeas, much to his delight! Other staff tucked into the local seafood and appreciated the tasty specialities and locally grown olives, but the paella was missing! We were all left wondering if the rice dish would appear on the second evening! Pupils hung on to every word during the trip as each of the French and Spanish-speaking teachers conversed with staff at the hotel, bowling alley, café, restaurant, and hypermarket as well as the lost and found desk at Port Aventura. The atmosphere changed as pupils started reporting back to us on how they had been using their language and managing to communicate what they wanted; those sheets of useful phrases did come in handy after all, especially for the teachers of other subjects who did a great job encouraging pupils to be brave and go for it in the target language without worrying about getting it slightly wrong. Pupils were so eager to learn about our culture in France and Spain and were full of questions about what they could see around them, if only they had so many questions back in the classroom! Throughout the week I saw the pupils become more confident in a foreign environment and willing to appreciate how things can be done differently; pity they did not believe me that they had to swap sides of the coach as we drove off the ferry onto the other side of the road! Our first visit of day 3 was the home of FC Barcelona where we had to compete with the Japanese tourists for photo shoots and we shared the magical space despite the language barrier and were very intrigued by each other’s poses! 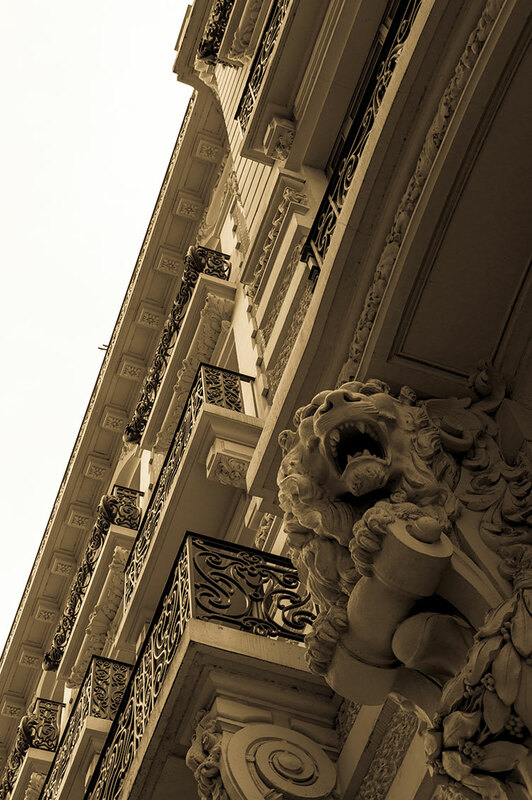 We had grabbed ‘un desayuno picnic’ to eat en route and left as early as possible to avoid the traffic – not quite as manic as the ‘Arc de Triomphe’ in Paris but the slow drive around Barcelona gave us time to admire the buildings! The next stop on our packed day was to a church and the pupils asked why we were taking them to see a church, probably thinking I had forgotten that they were teenagers! Their faces when they took in the façade of the Sagrada Familia and realised why I had actually showed them a church was quite a picture; picking out the detail in the splendour of Gaudi’s continuing masterpiece, which we managed to walk around and had just enough time to absorb its unique design and watch as the builders continued work on it, when will it be finished? 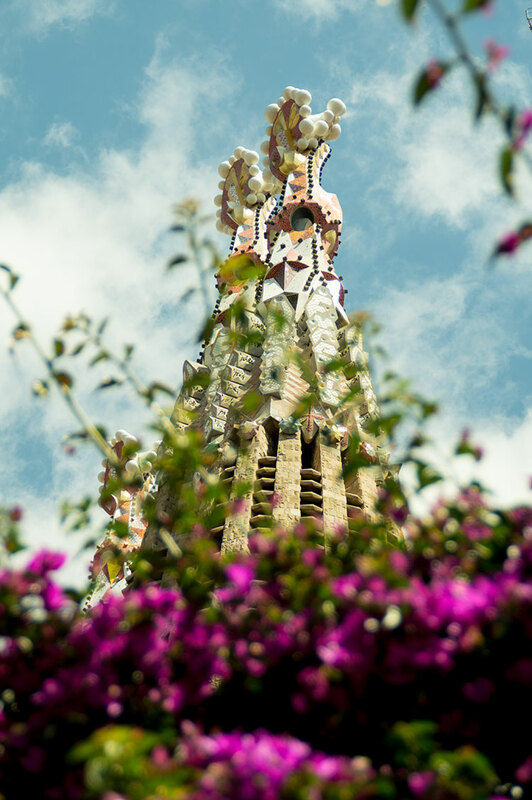 Barcelona is one of the most exciting and energizing cities in the world where the architecture is magnificent and has an almost fairy tale quality and the pupils had been enlightened! Must be the influence of Hull’s year as UK City of Culture that helped them on their way to enlightenment! Pupils tracked our progress south of Barcelona on the maps we had provided as we headed to the coastal theme park of Port Aventura where a sunny afternoon was spent on fast rides and seeking suitable places to find some fast food too! We nearly all made it back to the coach at the right time, just as well we allowed for some who we thought might be a few minutes late. A few headcounts later and we hit the road past Barcelona back to our hotel for another traditional Spanish ‘cena’. Each day at the hotel had seen Mr Styles and his team knocking on doors to get pupils up for 6 a.m. and where we had rooms on whole corridors we had the opportunity for a tuneful song to awaken the sleepy travellers. There were some who had a mad rush to get ready as the singing must have sent them back to sleep! On the whole the pupils were very good at keeping to time and being in the right place at the right time and the staff were not bad either! Seeing all three of the year groups in action was wonderful and reassured us that we did the right thing taking such a big group ably supervised by such devoted staff. The only thing I would do differently is take a cameraman to film the whole adventure, so pupils could go through it repeatedly, but I am sure they have enough selfies and memories of their first European Tour to keep them talking for a while and Mr O’Mara did a super job of capturing the sights on camera. A hearty breakfast set us up well for day 4 and a journey across the border to Toulouse and a hypermarket experience where there were no fast food restaurants and pupils tried lunch at ‘Flunch’ or ate with the local workers at a ‘Brasserie’ or ‘Pizzeria’ where we all tried to speak a little French as we dined preceded or followed by a spot of shopping in the huge shopping centre. Lunch there was plan B as the weather did not look good enough for a picnic at the ‘Jardin de Plantes’ and meant we did not need to empty the ‘Carrefour hypermarché’ of ‘baguettes’, ‘brie’ and ‘escargots’, but the rain held off until the journey out of Toulouse later in the day. We got on the coach and we spent a little time in the centre of the beautiful ‘Pink Town’ of Toulouse for a spot of last-minute gift buying, where we also saw the beautiful avenues and boulevards as well as rugby stadium number two of our trip, the other one being the home of the Catalan Dragons in Perpignan. 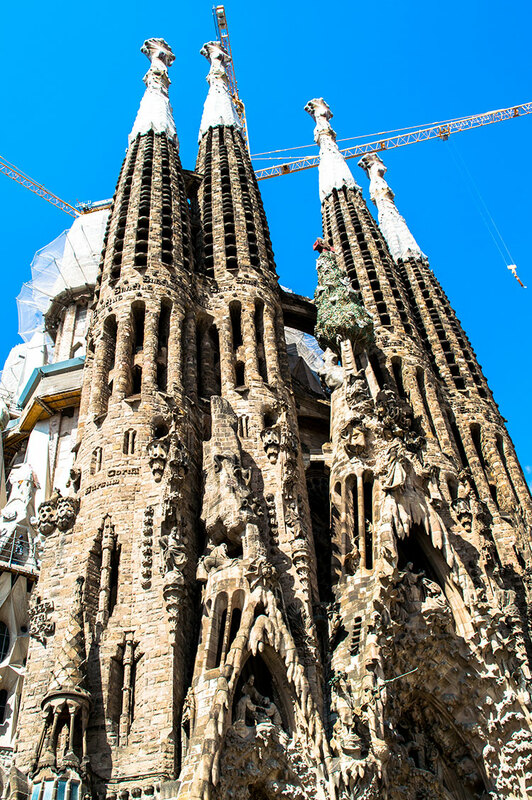 One pupil had clearly caught an eye for architecture from seeing all the Gaudi designs in Barcelona and commented on how the ‘centre commercial’ was not even finished, d’oh! those lazy French builders taking such long lunch breaks. The coach journey home was a little quieter as we had finally worn the pupils out and they needed to start to catch up on the lack of sleep over the previous few days. Some stayed awake to appreciate the beauty of the Dordogne. A stop at ‘Charles de Gaulle’ airport near Paris in the early hours meant farewell to our four drivers who had looked after us for most of the trip and we picked up two new drivers to get us home. I would like to take this opportunity to thank all involved in this trip and look forward to hearing more about pupils’ European adventures as they head out into the world of work and perhaps get the opportunity to spend longer in another country as students or in employment. The pupils were a delight to travel with and represented the Academy brilliantly and our transport fanatic, Liam, managed to meet the DFDS Captain on the return crossing from Dunkirk to Dover on the Thursday morning after a gruelling alphabetical walk through French then English customs with all our luggage! A decent breakfast aboard was all we were looking forward to after another night on the coach! Then it would only be the traffic on the M25 that would stop us getting back to Hull in good time and unsurprisingly it did! Did I forget to mention travel sickness? Well, too late to go into any detail now! There were, however, plenty of reminders about how to cope when travelling, when to apply sun cream, where to carry a wallet or a phone, what to wear, when to drink water, where to meet up, how to stick together and not get lost as well as how to cross a road; all the things that parents were not there to nag their children about, so we did it on their behalf! This afternoon the Spanish Department welcomed two visitors who work for the NHS. Juan Andrés Garcia Abadillo Valencia and Miguel Angel Suarez Olmo are two Spanish nurses who work at Hull Royal Infirmary in the Neurosurgery department and they visited us to talk to the Year 10 GCSE pupils about their work and how they use languages in their life and work. They promoted their love of a language and explained how living and working in a foreign country has enabled them to improve their skills and meet new people. Our pupils were keen to ask questions about their life and careers and also found out about their impressions of Hull. Juan loves chip spice and Miguel is particularly partial to a pattie – but neither come close to paella or jamón serrano. A very positive experience for everybody involved and both of our guests were impressed with the Spanish that was used! 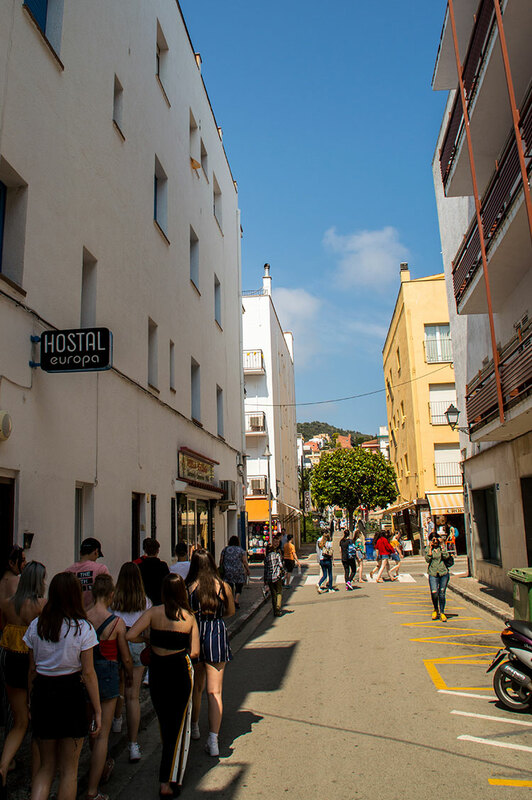 Monday: Arrive at the hotel in Tossa de Mar – explore the town, tasting churros and bowling then buffet evening meal at 8 p.m.
Tuesday: Early breakfast before a tour of Barcelona and the afternoon at Port Aventura then buffet evening meal at 8 p.m. Team MFL had an egg-cellent turn out of Year 7 French and Spanish pupils this half term for the latest Spelling Bee competition! Pupils caught the Spelling Bee buzz once again and were hopping mad with egg-citement when they saw the prizes on offer! All participants made a cracking effort to memorise lots of Easter related vocabulary. They were then challenged to spell out as many words as they could in 2 minutes in the target language. There were certainly no chickens in this battle and they pushed themselves to the ‘egg’streme, with one student resurrecting a come-back on his third attempt which saw him bounce into 3rd place! Thank you, merci, gracias to all who took part! 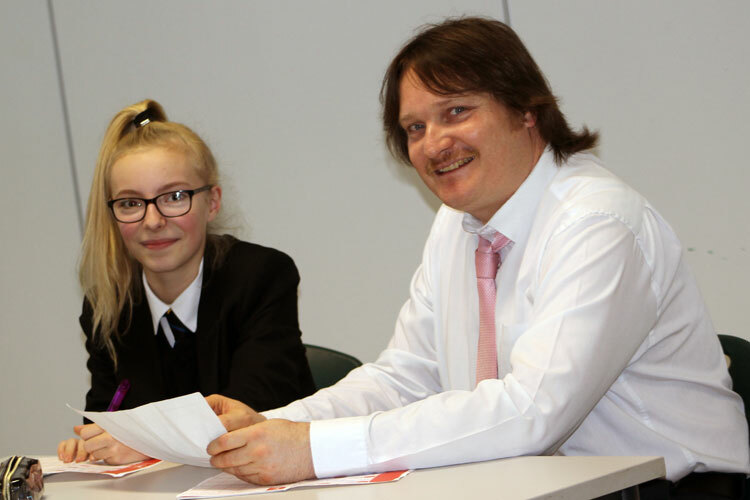 Well done to everyone who took part in our second MFL Spelling Bee competition this half term! 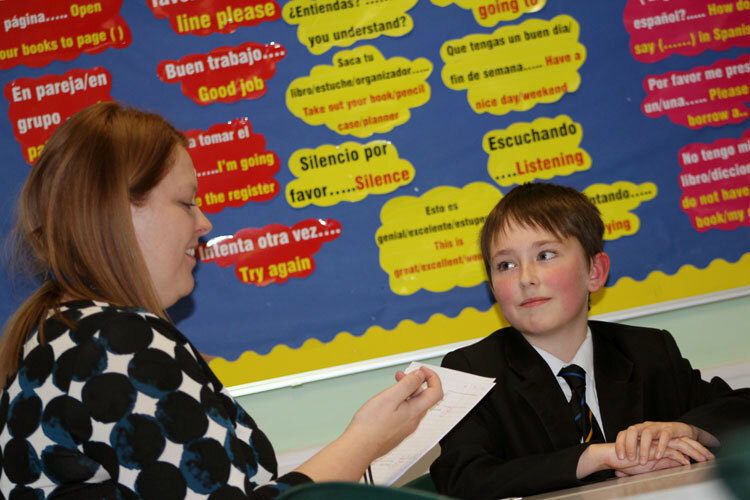 In the weeks leading up to the competition, pupils memorised a selection of challenging Valentine’s Day and Pancake Day themed words in their target language of Spanish or French. There was a flippin’ eggcellent turnout of pupils representing Selfholme but heartbreakingly Sudtone and Hedoncrofte were nowhere to “bee” seen. Congratulations to our fabulous winners!! 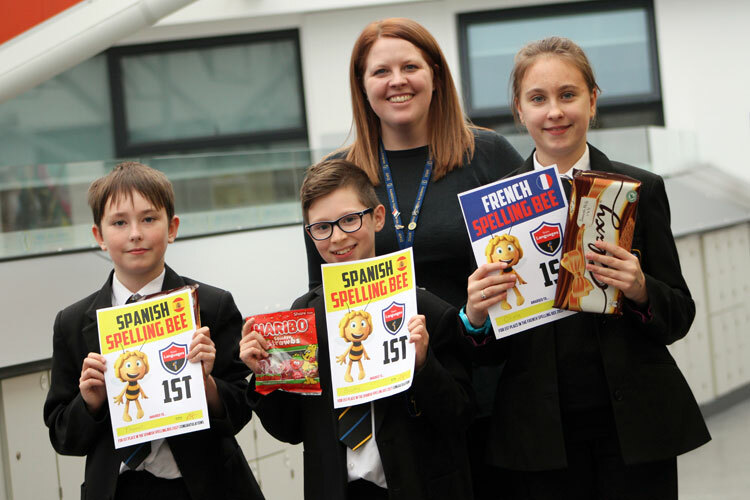 There has been a real buzz on the MFL corridor over the last couple of days with a number of Y7 pupils taking part in our first ever MFL House Spelling Bee Competition! Pupils were given a list of words in French and Spanish to memorise and then had to give correct spellings of as many of these as they could in just 2 minutes. The participants of the competition put up a real fight for first place and made a 'bee'autiful effort all round. The winner of our first ever French Spelling Bee competition was Olivia from Team Riseholme with 23 correctly spelt French words in 2 minutes. Closely followed by James and David from Team Sefholme who both spelt 21 words correctly in 2 minutes. An amazing comeback from David who swooped in on his 3rd attempt improving his score from 14 on his 1st attempt! In joint 3rd place were Kieran and Ellie-May from Team Riseholme with 20 correctly spelt words. On the other side of the Pyrenees, our Spanish Spelling Bee 1st place went jointly to Thomas from Team Sudtone and Bradley from Team Hedoncrofte. These boys certainly were the bees knees on this occasion and were both flying high with a score of over 30 words! Our 2nd place also went jointly to Roxy and Alfie both from Team Riseholme with 28 correctly spelt words in 2 minutes and there was a brilliant effort for 3rd place from Faith from Team Riseholme and Liam from Team Sefholme. A special mention goes to Liam who showed admirable resilience and perseverance jumping from 11 words on his first attempt to 20 on his third attempt! Well done also to Gracie, Kasey, Danni and Kian for taking also part in the event. 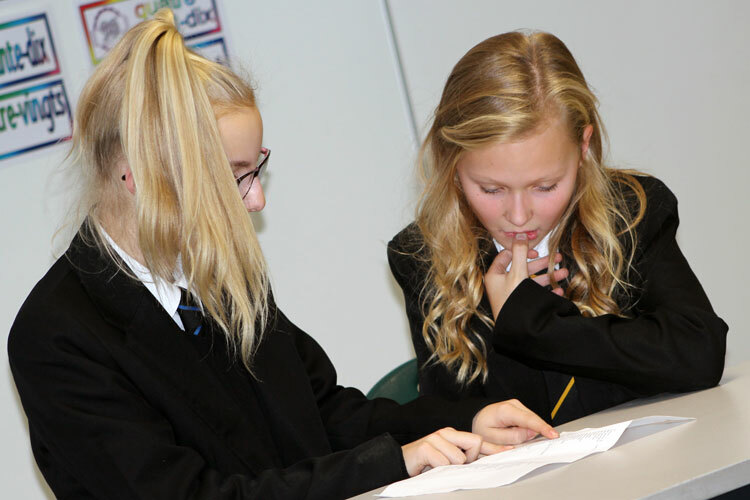 Congratulations to the teams from Y7-11 who represented their Houses so valiantly last week in the MFL assemblies to celebrate the European Day of Languages. 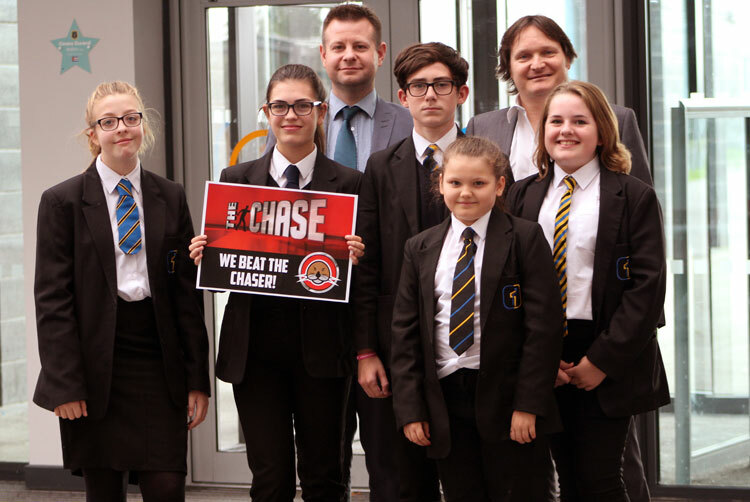 The pupils coped extremely well with true/false questions on all aspects of European culture, traditions and geography in a competition to beat The Chaser, played expertly by the master of the trivia quiz who has featured on several local and national radio quizzes; the one and only Mr Horsley! A seventies version of Bradley Walsh, played by Herr Styles, tried to fit in as many questions as he could into the two minutes for the nervous contestants, who showed that they are very aware of all things European. They coped extremely well being quizzed in front of a packed theatre; full of their peers! There was even some audience participation and Head of Houses tried to chivvy their teams along in spite of a P45 prankster and a coughing fit or two! The teams were very wise in their choice of the set A questions as The Chaser had some rather long-winded and bizarre questions about cultural practices in Europe, but luckily The Chaser knew that ‘Bimbo’ bread comes from Spain and was only beaten once! 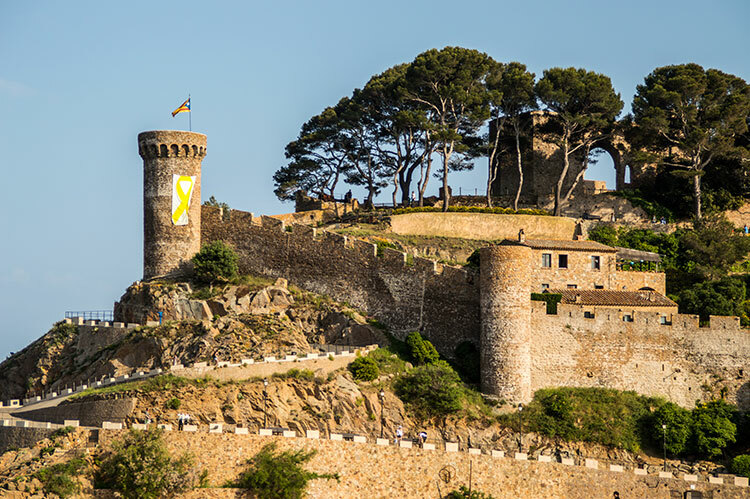 Winifred Holtby Academy is excited to be proposing a joint language tour to France and Spain to support curriculum plans for French and Spanish Language pupils and enhance learning experiences within the Academy. Group travel insurance is also included. The itinerary for the trip will include cultural visits to sights in and around Saint-Omer in Northern France, Barcelona and a day at Port Aventura, a theme park near Barcelona. In addition to the tour cost, we recommend that your child has some spending money for the trip for some midday meals, snacks and presents. They will not require a passport as we will apply for a collective one as a group. A £65 non-refundable deposit is required as soon as possible to secure your child a place on this visit along with a completed permission slip. Places are on a first come first served basis. Once we have received 40 deposit payments the visit will then be closed to other pupils. The Academy requires all payments to be made via your ParentPay account. Should you require a copy of your ParentPay login details, please contact the Academy reception. Please DO NOT send any money to the Academy with your child. A further payment of £100.00 is required by the end of October 2017 followed by the final payment by mid-March 2018. Interim payments can be made between the dates outlined above; about £50 per month would cover the remaining amount required between November and March. We would expect all pupils to have acceptable levels of attendance, punctuality and good behaviour – places will be withdrawn if we feel that your child is not maintaining expected levels.